Check out our summer menu! Our menu changes often because we use fresh, seasonal produce. Make sure you browse regularly - you never know what you might find! 500mL (serves 2) in reusable packaging. Green, summery goodness. 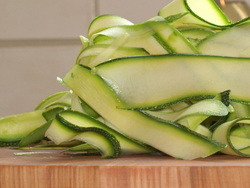 Protein-packed soybeans, zesty lemon and ribbons of creamy courgette - delicious! 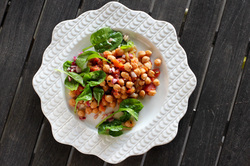 This satisfying salad can be served as a simple lunch or dinner and it's easy to pack to take to work. 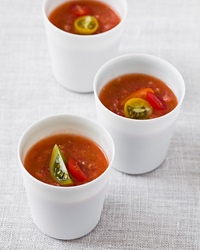 Jammed with nutrients and a kick of fresh chili, it's a complete, nourishing meal. 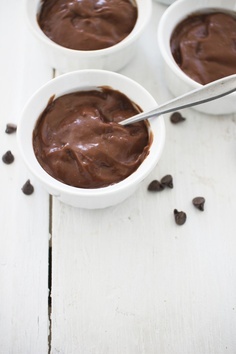 Rich and creamy, our dark chocolate pudding is a treat and a half. Serve it over fresh summer berries, crushed Oreos, semi-freddo or get a spoon and eat it straight from the tub!